We will reply to your email with a RMA number and exchange/return instructions. Inside the package please include: A copy of the original packing slip that we sent you with your order and the RMA Number you were issued OR The Name used on the original order, Product ID information, Order Date, Order Number, RMA Number, and Tracking Number. Use the supplied return label to send the merchandise back to The Printer Ink Warehouse, 109 E. Prairie St., Vicksburg, MI 49097. All returned merchandise must be received within fourteen (14) days of the issuance of the RMA number. Any discrepancies could result in a delay or complete forfeiture of a refund, if applicable. 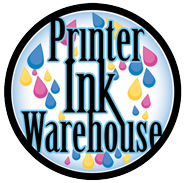 NOTE: So as to ensure you are inconvenienced as little as possible, The Printer Ink Warehouse sends replacement products while waiting for the returned products to reach our offices. If the item to be replaced is not received by us within 14 days of the RMA issue date, you will be charged an additional fee for the replacement item.